Many of our Seattle and King County friends, family and neighbors have called our professional plumbers because they were frustrated by low water pressure in the shower, or while trying to get the soap off the dishes. Low water pressure is a common household issue with many causes, and our journeyman plumbers are experts at finding and fixing them. Here are a few of the causes and solutions. How Do I Determine Why My Water Pressure Is Low? One of the first things that your Fox plumber will examine is the location where you are experiencing the low water pressure. Is it just one faucet or is your entire home’s water pressure low? Is it just hot water or both hot and cold? This can help to pinpoint the source and cause of the problem. For example, if it’s just the hot water, a likely cause is your aging hot water tank. Remember that the average lifespan of a hot water tank is 10 years. How Do I Get Low Water Pressure? There are several sources that contribute individually or together to lower your water pressure. From unseen leaks to water valve performance, many plumbing problems can present symptoms of low water pressure. 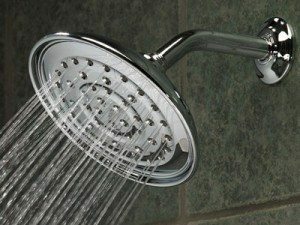 Clogs and/or debris in your pipes or shower head. One of the main causes of low water pressure is constriction of the water flow by something taking up space within the pipes. Even in healthy pipes, minerals in the water will build up over time. Other particulates such as sand or dirt can also get into and sit in the pipes, and a simple flushing may fix your problem. Also, aerators may need replacing on your faucets. Corroded pipes. Pipes themselves can create clogs affecting water pressure. Many Seattle homes built between 1930 – 1960 have steel pipes. 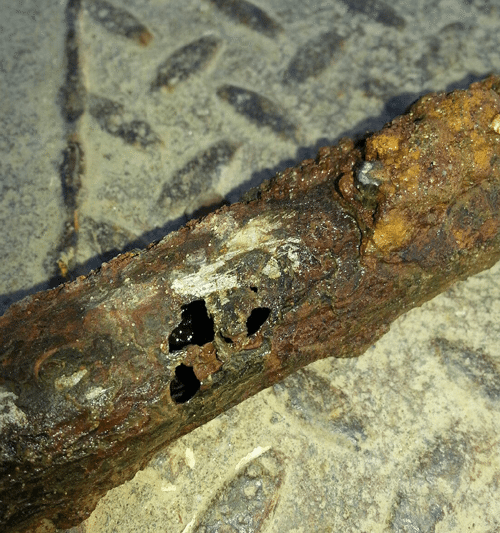 In galvanized steel pipes, the zinc coating on the inside will eventually rust and little bits will clog your pipes. While copper pipes do not rust, however, they can wear especially at the joints. The fittings and connections in the plumbing system may not be copper and corrosion can occur at these joints. Leaky pipes. If water is exiting the plumbing system, it will often show up as lower water pressure before you see increased water use on your utility bill. While it can be a crack in a pipe or fitting that is causing the leak, one common perpetrator is the toilet. Toilet flappers have a relatively short life span and often leak. If you are jiggling the handle to get the toilet to stop running, it may be time to replace the flappers or other inside components. There are some types of pipe that are more prone to leaking because of inferior quality. This includes Quest pipe and Kitec Pipe. An unfortunate situation exists in many Seattle and Eastside homes which were built over the past 20-30 yrs with Kitec piping. This includes the eco-friendly hydronically heated homes of Issaquah Highlands. In energy efficient hydronic systems the plumbing provides both hot water and radiant heat, so it runs through all of the walls or floors of the home. Kitec pipe has now been shown to have a very high failure rate. This brittle pipe is no longer used. Unfortunately, these homeowners can experience leaks inside their walls and floors that can cause enormous damage and cost. Sometimes low water pressure is the first sign of those leaks. There is no safe option for repair of Kitec pipe, and a replacement of all piping is required. If you see a bright orange colored pipe in your home, it might be Kitec. Call a Fox Plumber to evaluate it’s condition and inspect for leaks. Once your Fox Plumbing Professional evaluates the water pressure issue, he may recommend partial or whole home re-piping. That means replacing leaky or corroded pipe with a new professional grade piping. Both copper and PEX pipes are safe and recommended by plumbers. The best choice for your home re-pipe project will depend on the specifics of your situation. One common pipe that is highly recommended by the plumbers at Fox today is PEX pipe (crosslinked polyethylene). PEX is now the standard for home plumbing applications and there are some real advantages to using it. PEX will not rust or corrode over time, so it is less likely to clog, leak or discolor your water lines. PEX also withstands acidic water, which can corrode and cause small holes in copper piping. However, Seattle, Bellevue, Kent and King County does not have issues with acidic water. PEX can be used for both hot and cold water lines, whereas PVC cannot be used safely for hot water supply lines. PEX is more resistant to freeze breakage than PVC or copper pipes. PEX saves you money as it has a lower cost to install vs copper pipes. Ask your Fox Plumber about the advantages of using PEX piping in your home water line replacement. For an estimate or to have your water pressure evaluated, contact Fox Plumbing & Heating.